West Oakland sprang up as a terminal where the railroads met the waters of the San Francisco Bay and rail cars had to be loaded onto barges to make the voyage to San Francisco. It started as one of the first American settlements in the East Bay and the bustling port attracted a diverse spectrum of immigrants as early as the 1850s. While wealthy Oaklanders moved out of West Oakland, the neighborhood remained home to a diverse blue collar workforce of laborers until World War II. The war saw massive industrial expansion in the Bay Area and West Oakland benefitted from expanded manufacturing and shipping as well as a dramatic increase in population. The combination of a desperate need for workers and good pay attracted sizable immigration of white and African American workers from the Deep South. FHA wartime housing was generally restricted to white workers, so the new black families were concentrated in West Oakland. Although over-crowded, West Oakland was a vibrant and active community with a noted music scene and a nexus of black owned businesses on Seventh Street. 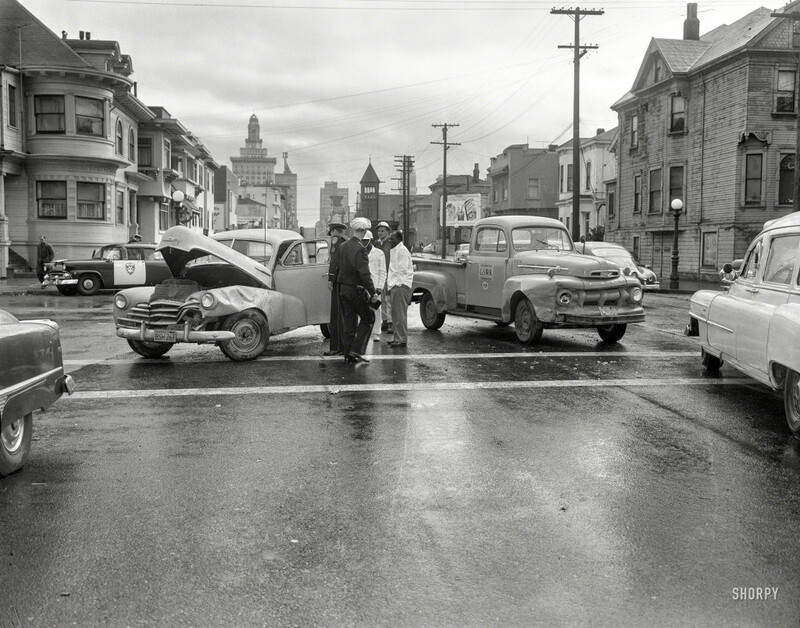 After the war, the same trends that affected cities throughout the United States came to bear on West Oakland. “White Flight” decimated the city’s tax base at the same time that manufacturing jobs began to move to larger sites outside of the city. Notably for West Oakland, local and federal efforts to address community challenges had exactly the opposite effect. 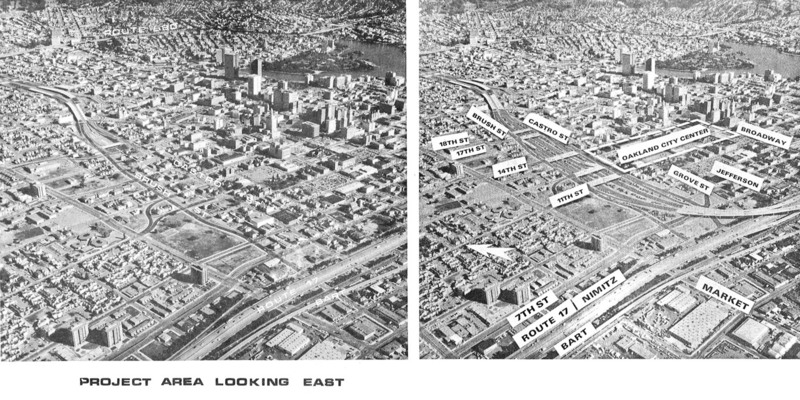 West Oakland was encircled by highways that bulldozed swaths of homes, cut neighborhoods apart, and privileged the transportation needs of the suburbs above the quality of life of the predominantly African-American urban core culminating with the completion of construction for I-980 in 1985. Only four years later in 1989, the tragic collapse of the Cypress Freeway structure as a result of the Loma Prieta earthquake marked a turning point for the West Oakland community. After years of organizing, residents were successful in forcing Caltrans to re-route I-880 to its current path around the neighborhood rather than through the middle of it. The result is the Mandela Parkway, an urban greenway that no longer creates a physical divide between two sides of the neighborhood. 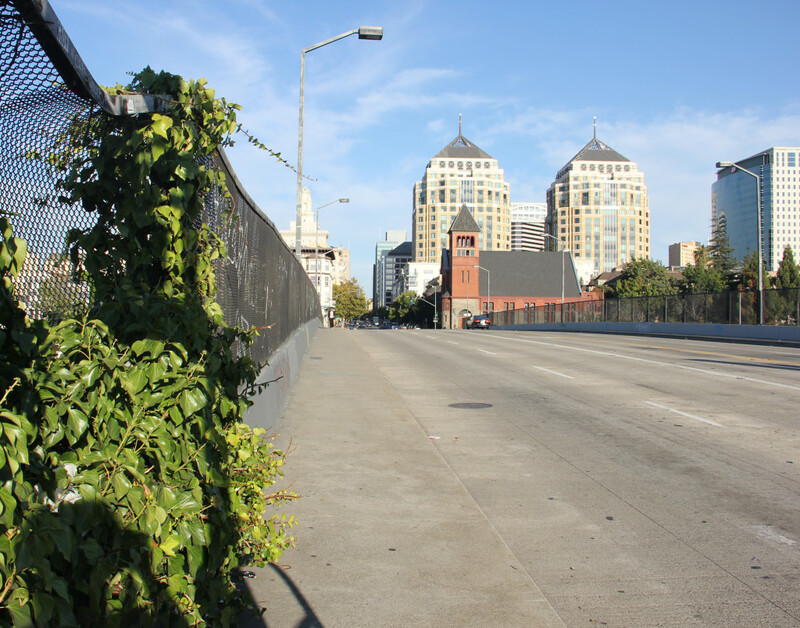 A similar path can be realized for the I-980 freeway, which remains no less of a divide in current times.